Odyssean Ensemble is made up of some of the best consort singers and musicians in the country, brought together to explore music in a vibrant way, through innovative programmes and bold performances. 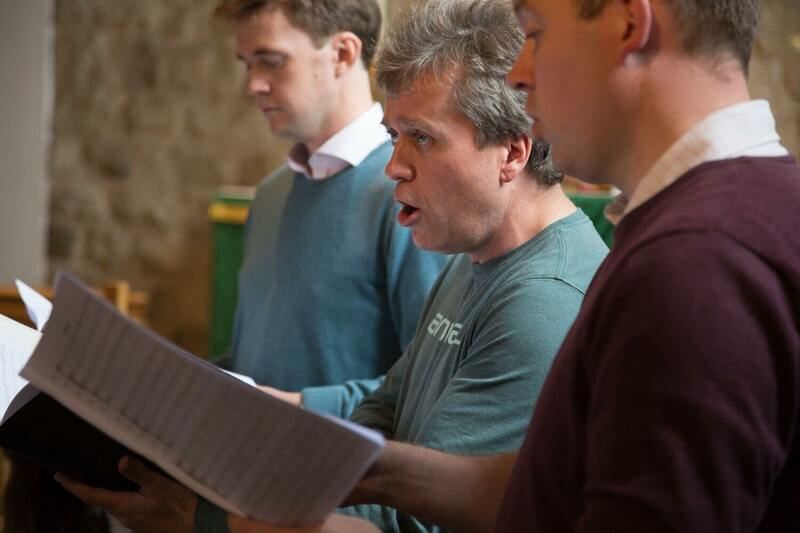 Individually the singers perform around the globe as soloists and with many of the leading groups in the UK such as the Tallis Scholars, the Monteverdi Choir, Tenebrae and The Sixteen. To date Odyssean Ensemble has been largely concentrating on English music of the 16th century, perhaps one of the golden eras of musical composition. The political and religious turmoil of that time often meant that composers worked in challenging circumstances, and many of the themes and influences that permeate their music are still extremely relevant today. Odyssean’s next major project will be to record a début CD. The disc will feature the Great Service of William Byrd, a rather neglected work of genius, and some contemporaneous motets. Accompanied by a reconstructed Tudor organ (the St Teilo organ), enabling us to step into Byrd’s sound world, the music will be interspersed with contemporary readings from the Book of Common Prayer, read by the actor David Suchet, as a way of transporting ourselves back to the period when this piece was written, and placing this rich and colourful music in an historical context. The texts will be drawn from the now defunct Services for Deliverance from the Gunpowder plot in 1605 and the Accession of the James I to the throne, both of which would have been events where Byrd’s music might have been heard, and which he may even have attended. The Great Service encapsulates the canticles that were sung during the services of Matins and Evensong, which made up an important part of Cranmer’s newly created Book of Common Prayer of 1549, and Odyssean Ensemble will perform the piece in a new performing edition created by Byrd expert Andrew Johnstone.